I’m very excited that we are entering our fourth year of publishing The Neuropsychotherapist, and I thank you, our readership, for supporting us in this endeavour. Our gratitude also goes to our board of advisors, who represent a distinguished cross-section of the field today. As a therapist and a keen student of science-informed therapy, I personally look forward over the coming year to staying abreast of both the cutting edge of neuropsychotherapy and the confirmation of existing practices in counselling, to present a range of thought-provoking and practical applications of the biopsychosocial sciences to therapy. The very popular Louis Cozolino, who is on our advisory board, offers his latest thoughts in this issue from an interview with David Van Nuys on the question of Why Therapy Works—the title of his latest book, from which we also publish an excerpt courtesy of Norton. Written for the layperson, Louis’ exposition will appeal to many therapists as a great addition to their knowledge of neurobiological factors at play in psychotherapy. For the educators among us, Karen Ferry writes on the impact of domestic violence on children—specifically on brain development. Exposure to violence in the home can have far-reaching impacts on the young student, but as Karen points out, teachers are ideally positioned to foster a classroom atmosphere and positive relationships that are healing for the traumatised child. Finally we present a short interview with Dr. Pieter Rossouw, a Q&A on the formation of a new association for neuropsychotherapy that is taking off in the Asia Pacific region with the potential for further expansion in the future—an exciting development for neuropsychotherapy. I do hope you enjoy this issue and all that we have in store for fellow travellers on the neuropsychotherapy journey over the next 12 months. Louis Cozolino unpacks some of the theory on early learning, providing neurobiological reasons as to why therapy works. 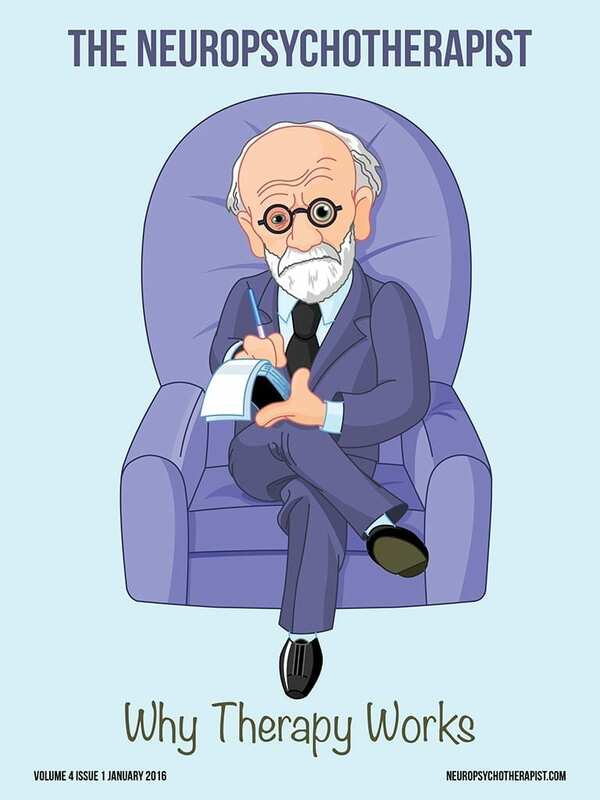 An established authority on the neuroscience of psychotherapy, Cozolino writes for a broad audience, capturing the essence of why therapy is effective given the way that we are wired. Karen Ferry, an educator well versed in the neuroscience of learning, talks about the impact of domestic violence upon children and how the classroom environment can be a positive and healing one for the traumatised.